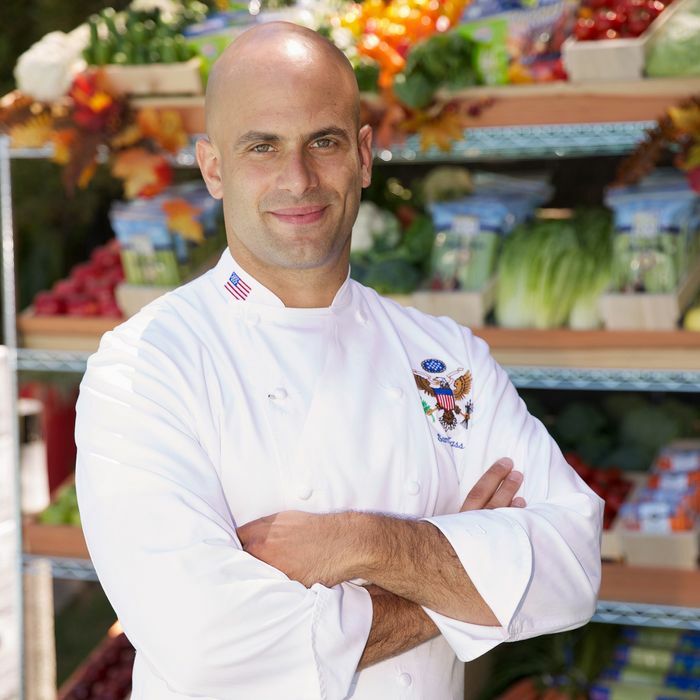 The Obama family’s former chef — and the first-ever policy adviser on nutrition — told Adam Platt that he was “looking at a few TV opportunities,” and now he’s landed a big one: Kass is the new senior food analyst at NBC News. He’ll cover food trends, healthy-eating stories, and policy issues for Today and NBC Nightly News, and write a monthly column for Today Food, in which he’ll probably tell readers to go easy on the bread. Kass will make his first on-air appearance tomorrow alongside Willie Geist, a noted lover of pizza and barbecue.